Coming May 7, 2015. Saddle up cow-girls! 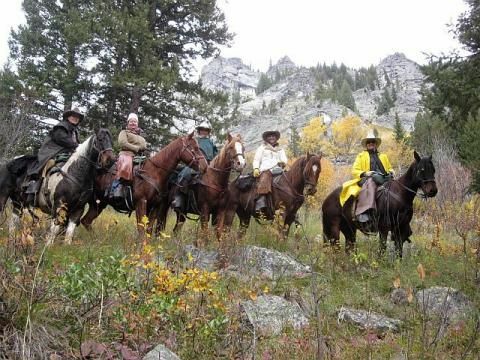 Head to Triple Creek Ranch in western Montana for their Women’s Rocky Mountain Rendezvous Event this spring. Enjoy gourmet meals and stay in luxurious accommodations, some with log post beds, wood-burning fireplaces, private outdoor hot tubs, and floor to ceiling windows, highlighting the beautiful mountain scenery. When you’re able to pry yourself away from your room, there are plenty of activities to partake in such as cattle round-up and team penning, exploration rides by horseback, sapphire panning, archery and trap shooting, casting lessons and guided fly fishing floats, and ATV adventures. This is what ranch living should be!